Hearts and Valentine’s Day are inseparable! 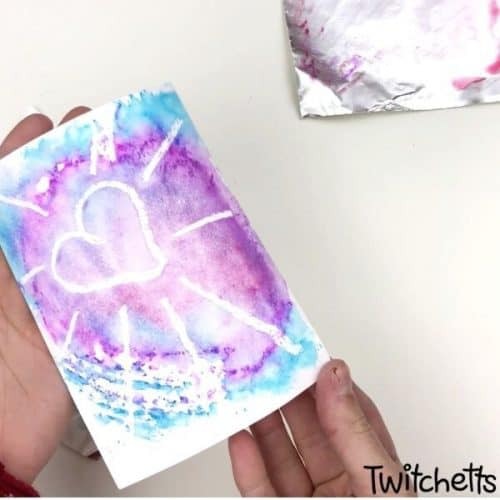 When you make your Valentine’s Day artwork using our heart resist painting technique with a fun twist, it’s pure magic! 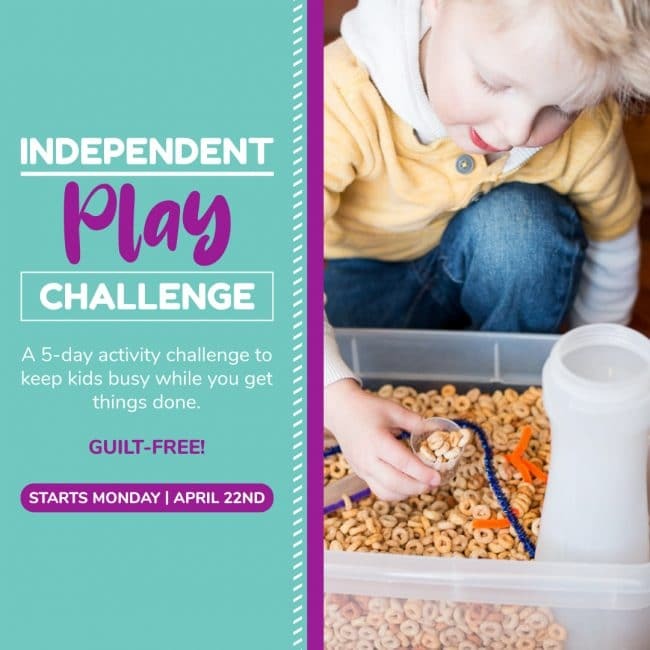 We had fun creating this heart art project and hope you and your kids will enjoy it as well! 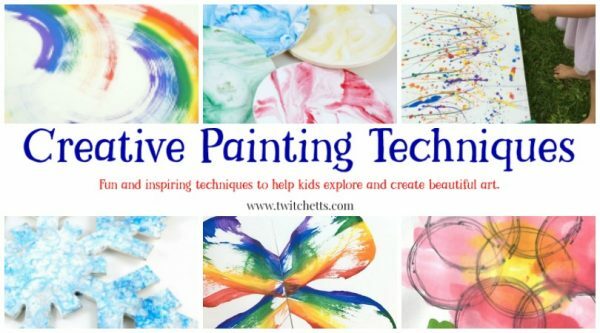 The technique we use to create our heart art project is easy and fun for kids of all ages. 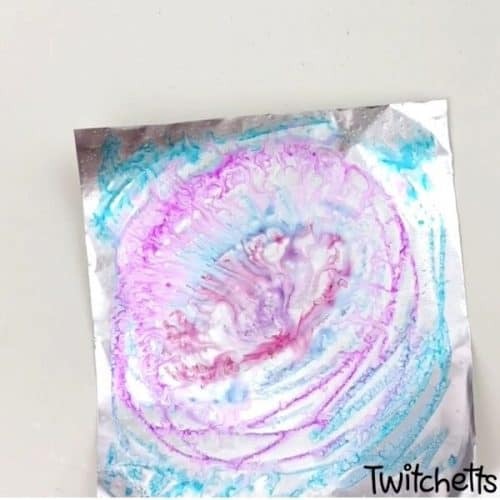 The twist we mentioned entails using 2 different colors of oil pastels to draw hearts. Using white and black oil pastels create a completely different final result. A heart art project created using black oil pastel looks amazingly similar to stain glass artwork! Another change from standard watercolor resist painting where you use watercolors to paint directly on paper, we used washable markers and transfer the paint on paper. 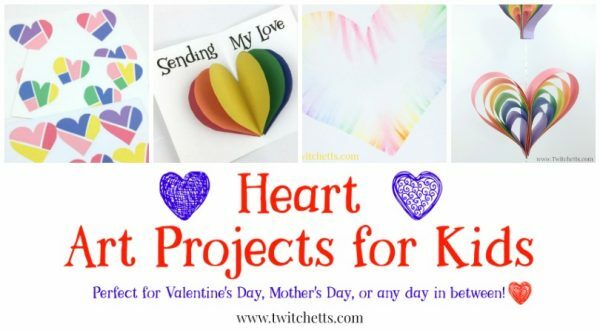 You can use your finished heart art to create other Valentine’s Day crafts like Valentine’s Day cards, add them to a journal, turn them into a banner to hang around your home or classroom, or even frame them as an artwork! Start by drawing or doodling your heart design with black oil pastel on white construction paper (or watercolor paper). 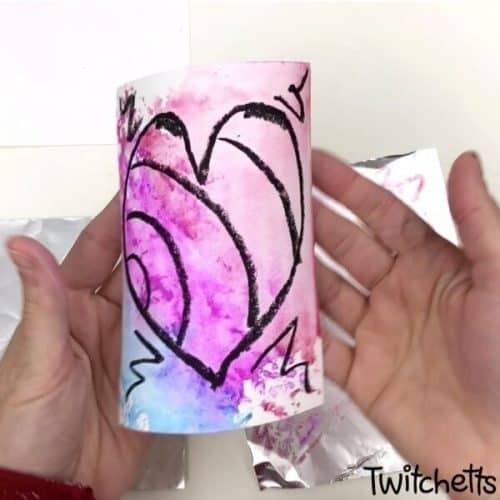 Use another piece of white paper to doodle and draw a different heart design with white oil pastel. Cut out a piece of an aluminum foil, a bit larger than the prepared piece of white paper you used for drawing your heart design. 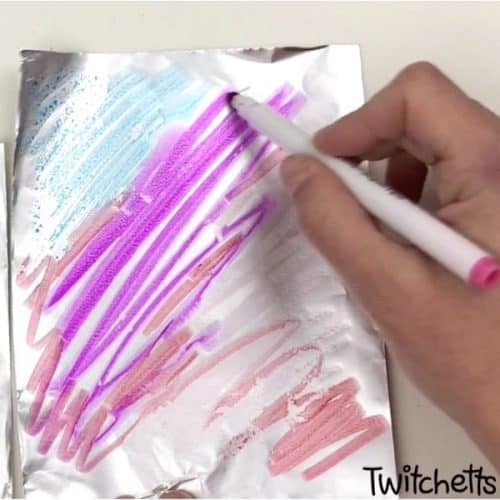 Use washable markers to scribble directly on the foil. 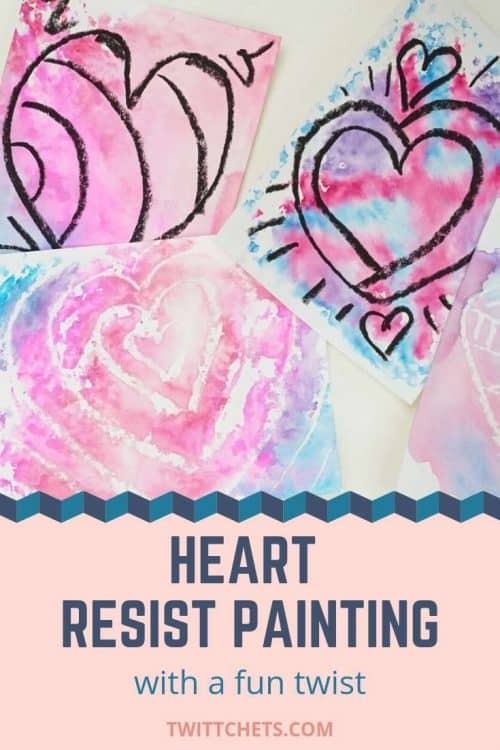 Pick a color combination you like the most, we decided to use pastel colors for our heart resist paintings. 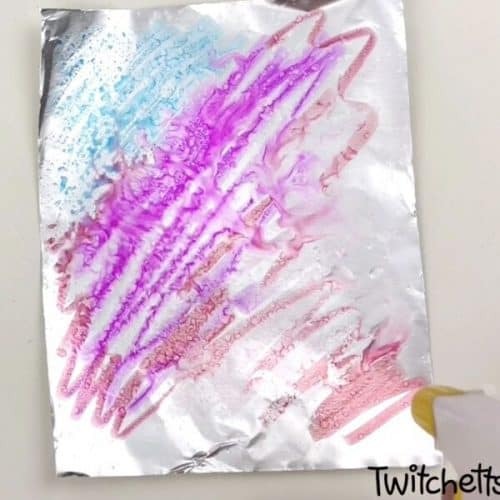 After you are satisfied with watercolor marker scribbles, take a spray bottle filled with water and lightly spray water all over the foil. Next step is pressing the paper with your heart design facing down on foil. 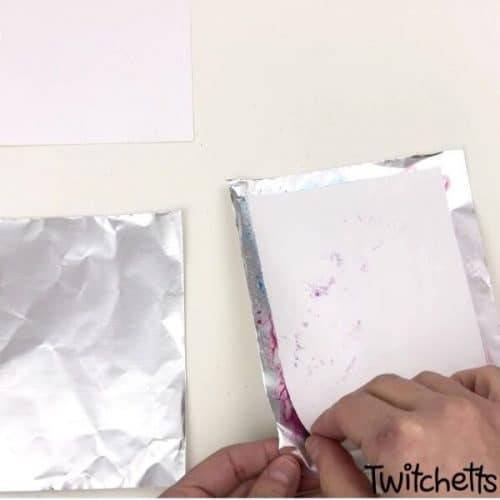 Go over the white paper with your fingers and palm, making sure the complete surface is pressed onto the foil. 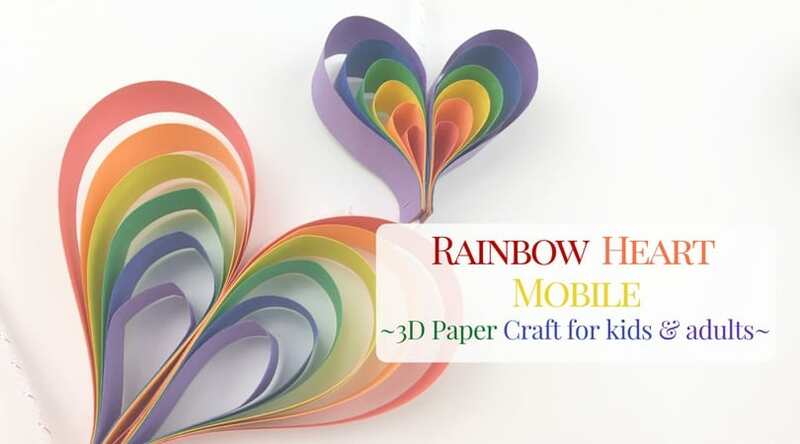 Lift the white paper and admire your heart artwork! Here you can see how lovely the heart resist painting looks with black oil markers, giving a stain glass effect. Leave aside to dry. And move onto a second heart design! This time, change the design of your watercolor scribbles, we used a circular drawing. Repeat the process – apply water spray and press the white paper facing down, make sure to press it firmly. It’s amazing and magical how the white heart pops once the color is applied! 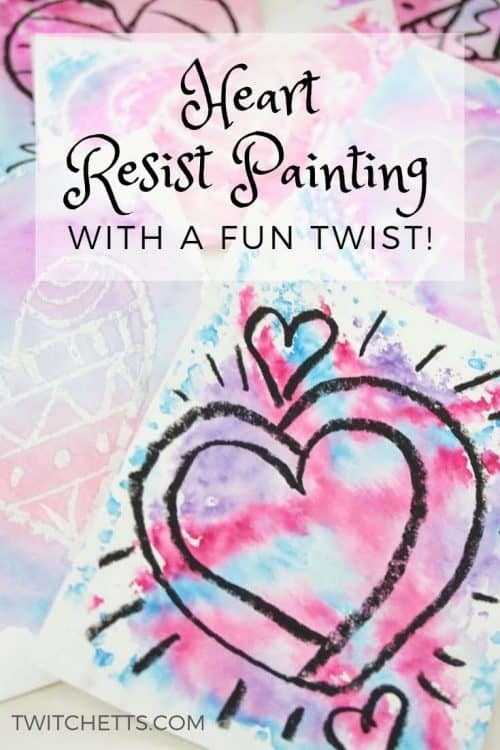 We have to warn you: this heart resist painting process is addictive and kids could end up making tons of different heart designs! Prepare enough white paper and foil pieces in advance! 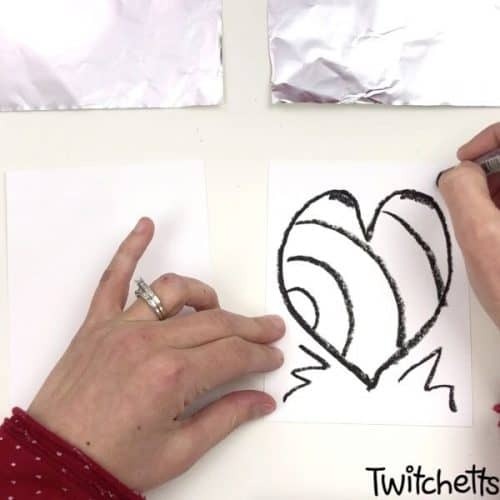 Watch us make heart resist painting in our video! 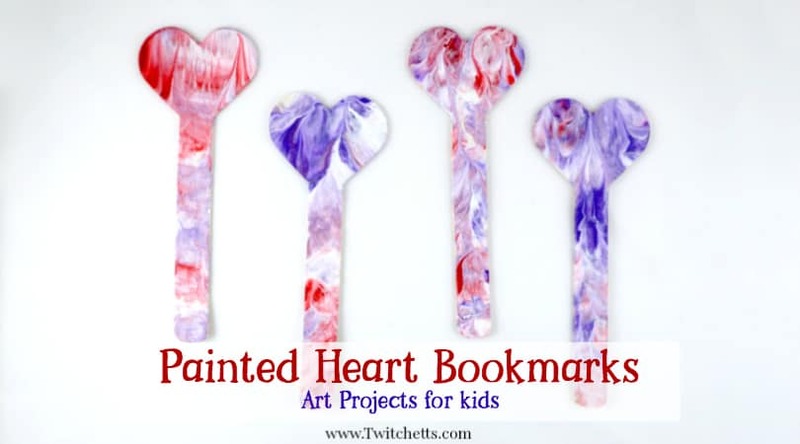 If you loved this heart art project, please pin it to your favorite Pinterest board.